Our product range includes a wide range of non woven bags, colored non woven bags, non woven conference bags and non-woven bag. We are one of the leading manufacturers, exporters and suppliers of Non Woven Bags. The offered nonwoven bags are made from environment friendly and natural jute fiber. Our supplied nonwoven bags are highly acclaimed and liked by the clients, due to the smooth design and lovely texture. 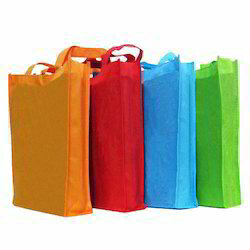 We feel proud to introduce ourselves as the well-known manufacturers, exporters and suppliers of Colored Non Woven Bags. 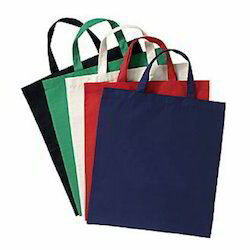 The offered colored non-woven bags are unique fabrications which are made from eco-friendly and tear resistant material. 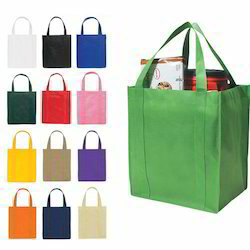 Our supplied colored non-woven bags are highly liked and appreciated by the clients. We are one the well-known manufacturers, exporters and suppliers of Non Woven Conference Bags. The offered non-woven conference bags are provided with handle for easy lifting operation. Our supplied non-woven conference bags are easily available at very affordable and economic market selling price. We are one of the widely acclaimed manufacturers, exporters and suppliers of Non-Woven Bag. 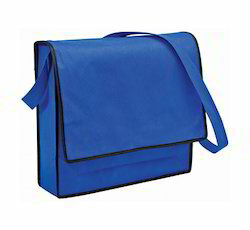 The offered non-woven bag is specially designed and crafted for carrying the shopped items and goods. Our supplied non-woven bag is made from high grade raw materials, sourced from very trusted vendors in the market. Our state-of-the-art in-house quality inspection unit has enabled us in manufacturing and exporting a superior range of Non Woven Bags. We design these bags by using optimum quality fabrics that we source from the trusted vendors. 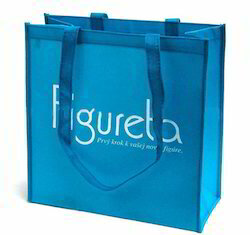 These bags are printed with company monograms and logos apart from other design patterns. To meet the variegated demands of the customers, we make this Non Woven Carry Bags available in numerous sizes, colors and specifications. Offered at the market leading price, these bags are highly demanded in the market.